You might not want to rob a train with it, but our Steampunk Train Bandit Sword is an incredible fantasy design that will definitely turn heads. It makes a perfect addition to your Steampunk wardrobe and guarantees second looks at events and shows. 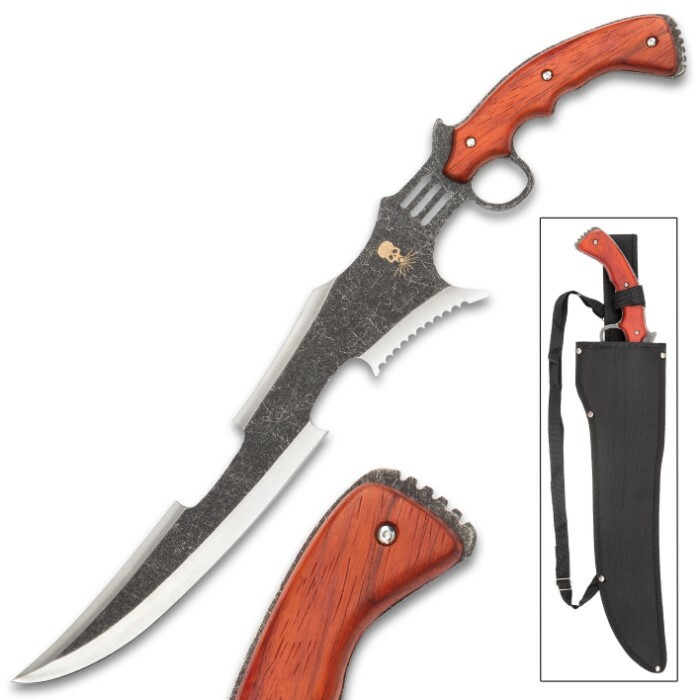 It has a 15 1/2”, full-tang 3Cr13 stainless steel blade that has a grey and satin finish and a wickedly unique profile that includes saw serrations cut-outs and a trigger guard. 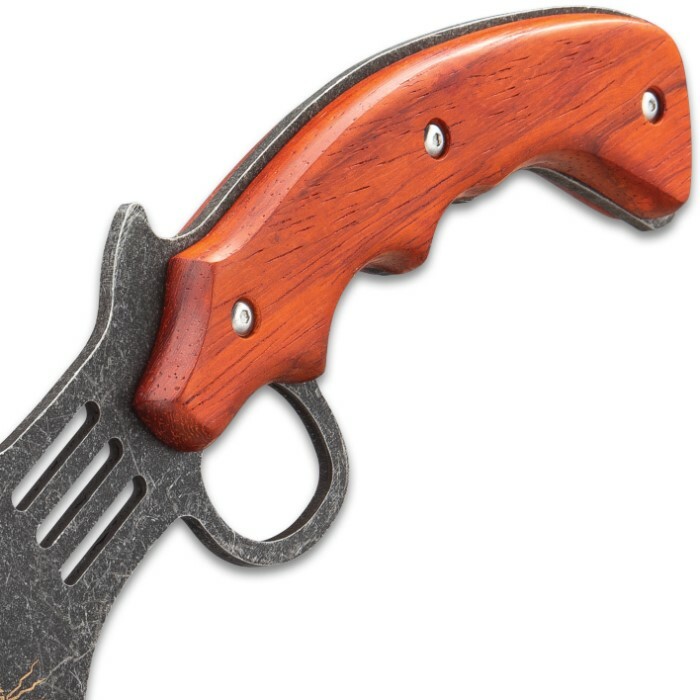 The heartwood handle scales are shaped like the handle of a gun and are secured to the tang by metal screws. 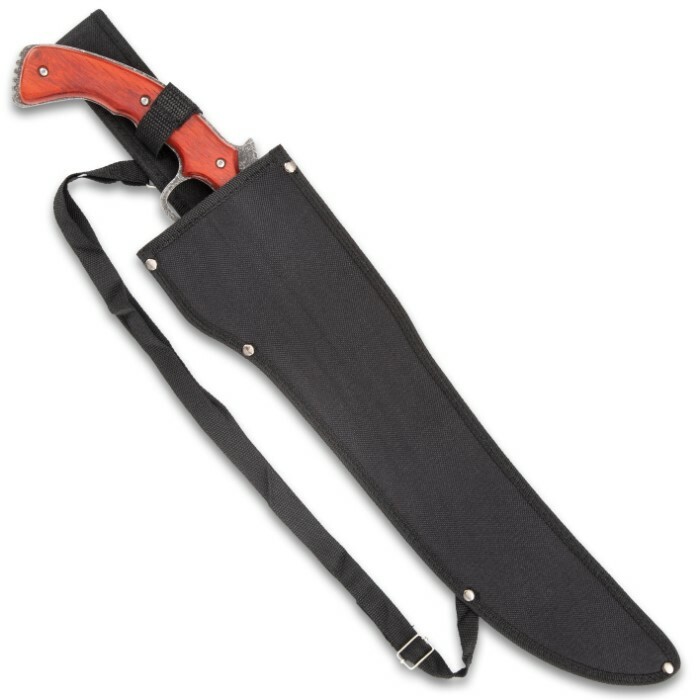 The 21 1/2” overall fantasy sword can be carried and stored in its sturdy nylon belt sheath with Velcro strap closure.